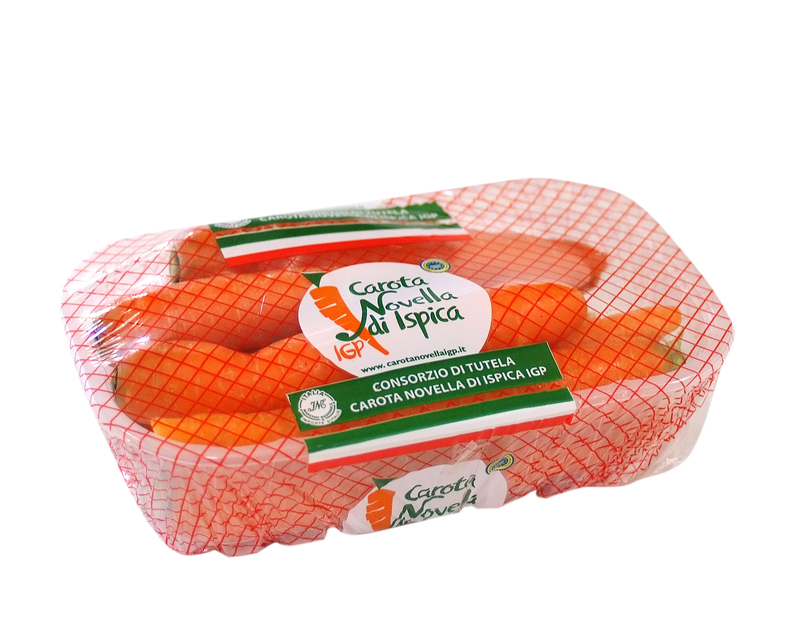 Early ripening period; bright orange colour; a peculiar and distinctive scent, intense, with herbaceous and fruity notes; tender and crispy at the same time: these are the factors that have contributed to the success on both national and international market of Carota Novella of Ispica IGP ((Protected Geographical Indication). 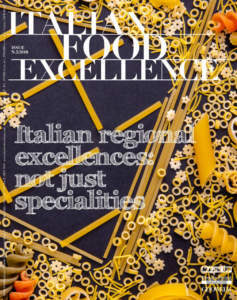 The geographical area of production, the South - Eastern part of Sicily, is characterized by a typical Mediterranean climate, with arid summers and mild winters. 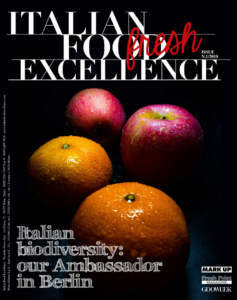 These climatic conditions let the root grow and develop in an excellent way and contribute to obtain a product with extraordinary organoleptic and unique features. 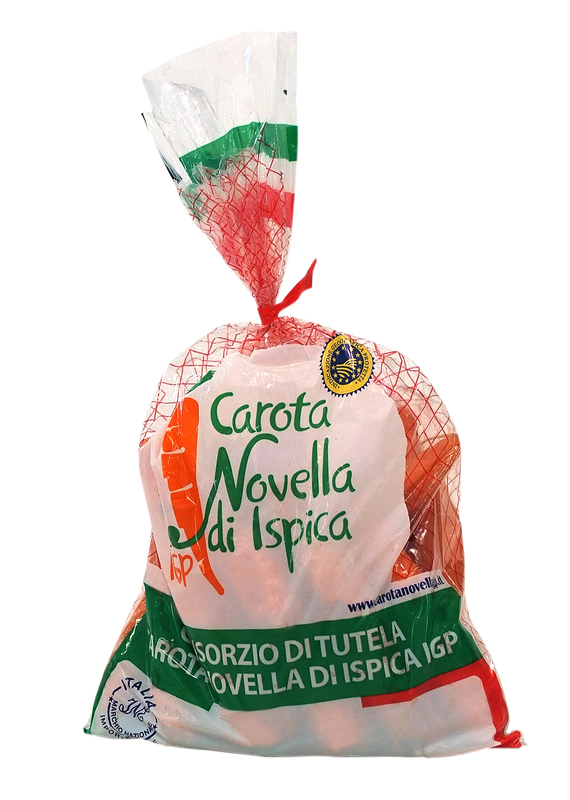 The characterization of Carota Novella of Ispica IGP is firmly connected to its ripening period. 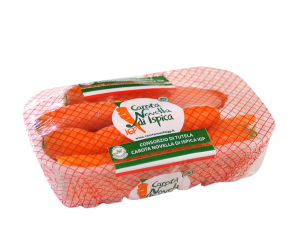 The ripening process on the fields of these lands starts in mid- February (because these areas are better exposed to the sun) and ends in mid- June (for those less exposed), so that Carota Novella of Ispica IGP is on the market from the 20th of February until the 15th of June. The Consortium origina ted in 2010 when this product obtained the recognition of the European Union as IGP. The Consortium aims at promoting, labelling and watch-guarding the quality of this product safeguarding and keeping surveillance on it, in order to increase the selling of this product on both national and international market . The packaging and processing facilities must be located in the area of production in order to guarantee the quality, control and traceability of this product. Any storage by intermediaries of this product must be carried out within the territorial area delimited by the disciplinary. The Carota Novella of Ispica IGP is traded in sealed packaging, in a way that the opening of the package involves the breaking of the seal. The packaging allowed by the disciplinary are: up to 2 kg tray covered with protective film; lot of weight between 1 and 6 kg, polyethylene or polypropylene; freshness-saving bag weighing between 6 and 12 kg. 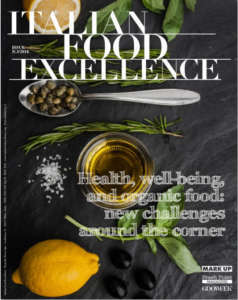 The physico-chemical properties and nutritional factors that distinguish the Carota Novella of Ispica IGP (glucides content greater than 5%; carotene content, considering the production period, greater than 4 mg/100g of fresh product) and its healthy quality, make it an authentic "medicinal plant": it is rich in substances that are particularly valuable for our mind and body such as vitamins A (carotene), B, C and E; iron, phosphorus, calcium, sodium, potassium, magnesium, manganese, sulfur, copper and bromine, carotina, asparagine and docarina. 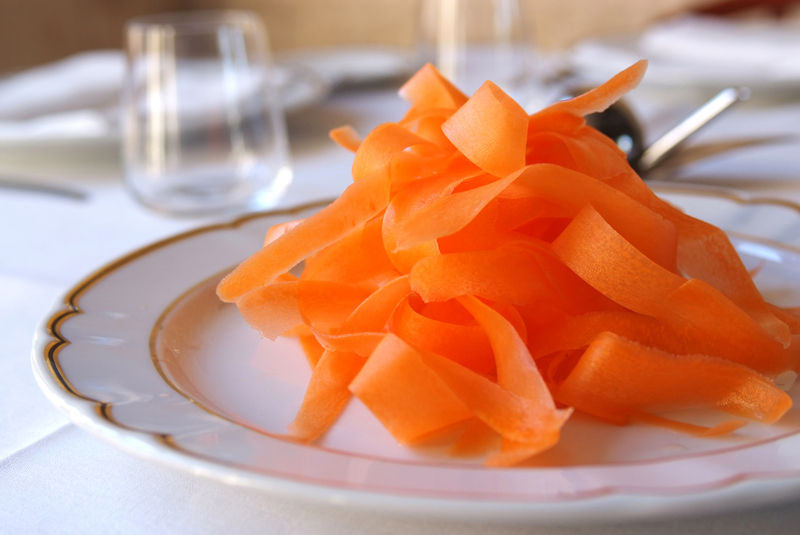 The alpha carotene is a strong antioxidant that can eliminate free radicals, the primary cause of chronic degenerative diseases; vitamins A, C, and especially docarina have a strong protective effect against coronary artery. 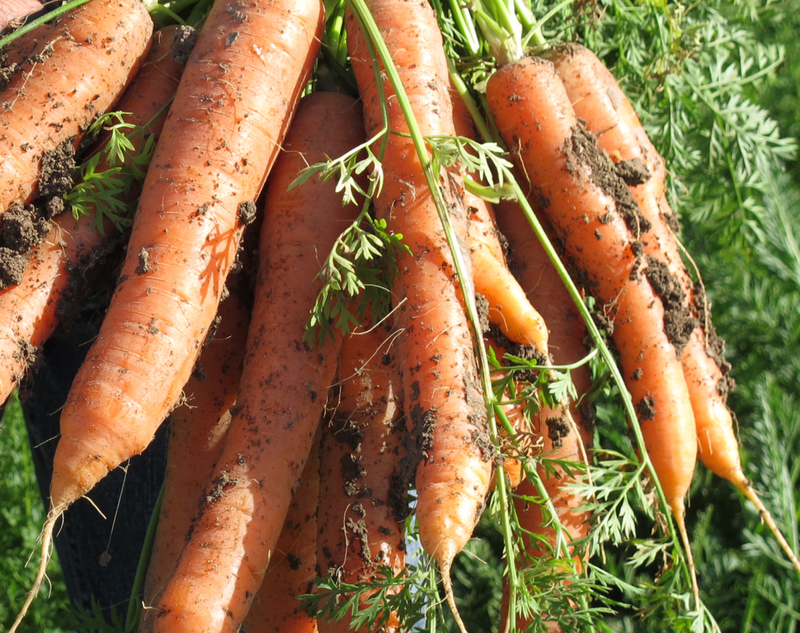 The carrots are good allies of the intestine: carrot juice is a great equaliser of the intestinal flora and it can be used in infections and outbreaks of this organ, in convalescence after a prolonged intake of antibiotics or chemical drugs. It is also a powerful mineralizer. Vitamin A is considered as vitamin skin, very useful in case of dry skin, wrinkles, acne, ... It has an excellent effect on revitalising and toning the skin. 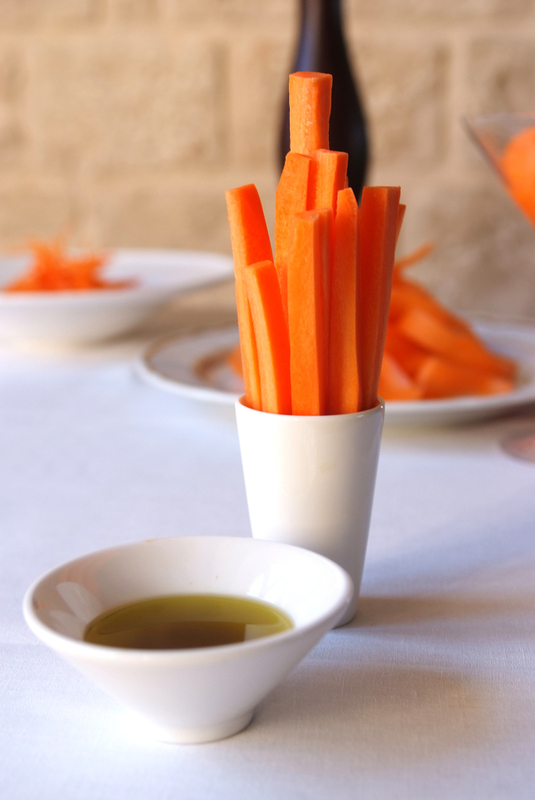 Carrots are little caloric foods and almost fat-free, very rich in useful substances to the body and especially fiber.